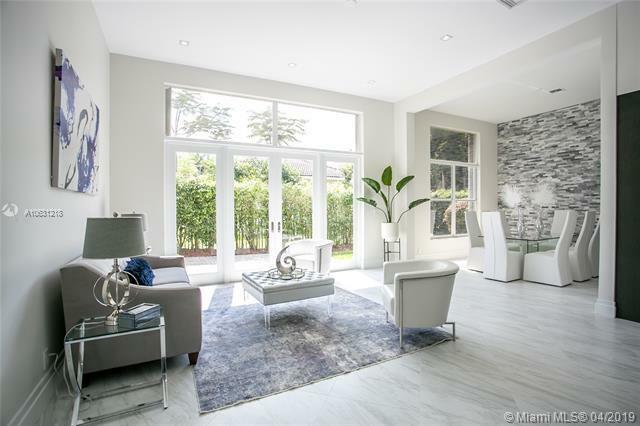 This stunning newly completely renovated contemporary courtyard home epitomizes today's look in quality and design. 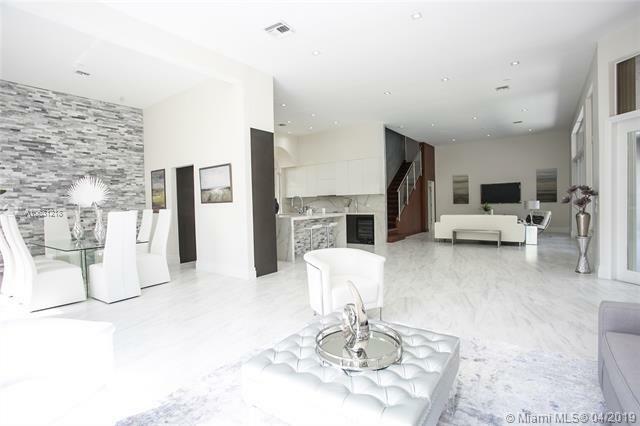 Open concept with lots of flex space for you to tailor to your needs. 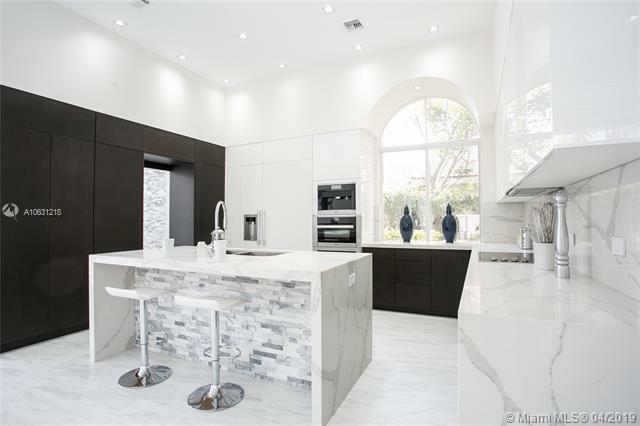 European style kitchen features top of the line cabinetry, appliances include coffee maker, wine cooler and island which overlooks the very spacious great room. 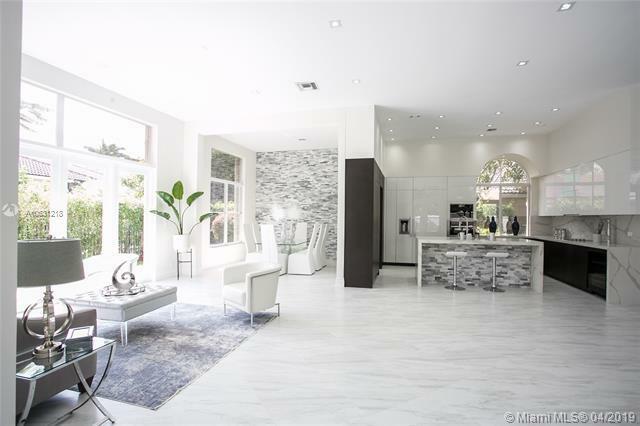 Stunning marble flooring downstairs & wood upstairs. Contemporary staircase with Venetian plaster wall and glass and metal railing. Master bedroom has sitting area and spa-like bathroom. Additional upgrades include new wood and glass doors, all led lighting throughout, all closets are built-in and 3 new air conditioners Separate entrance guest house with 1 bed/1 bath has also been updated. Screened freeform pool and patio offers complete privacy.